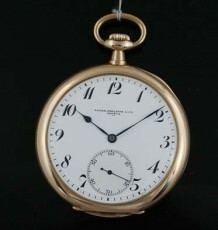 Scarce vintage Patek automatic, with screwback case. Featuring calibre 27-460 movement. 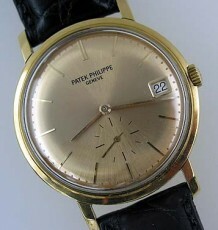 This vintage automatic Patek Philippe wrist watch, reference 3425, features a solid 18 karat gold two-piece case with a solid gold screw down case back. 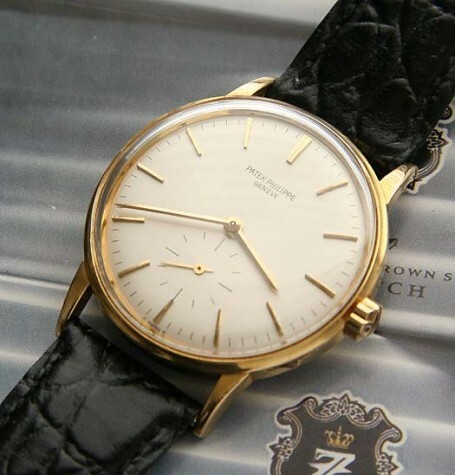 Collectors know how prized screw back automatic Pateks have become in the marketplace. Removing the case back reveals one of the finest automatic movements ever made by Patek Philippe, the 37 jewel, sub seconds automatic Calibre 27-460. This powerhouse of a movement is adjusted to 5 positions as well as heat, cold and isochronism. The balance is a shock-resisting, self-compensating free-sprung Breguet balance-spring and is wound by a massive 18K gold rotor that carries so much mass that the slightest movement sends the rotor whizzing around in the case. 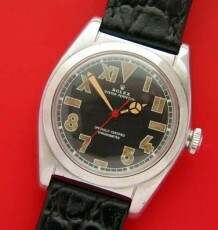 The dial is all original and is in excellent condition. 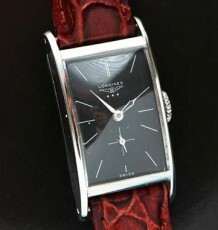 The watch measures 35 mm wide and 39 mm long. This is the complete Vintage collectible, durable, elegant and a rock solid investment.